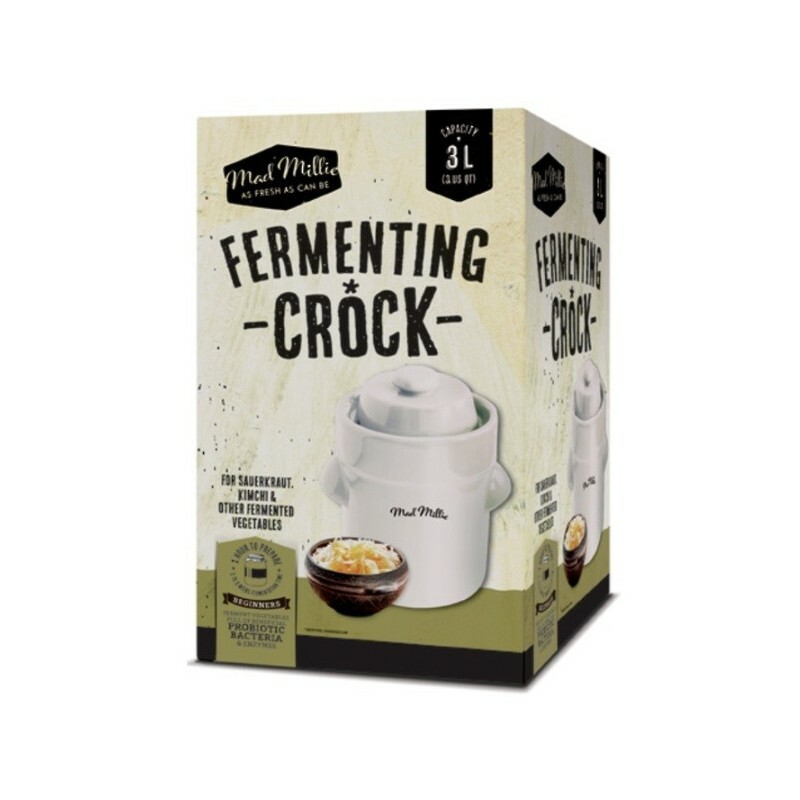 With the Mad Millie fermenting crock you can make your own fermented foods including sauerkraut, kimchi and other fermented vegetables. 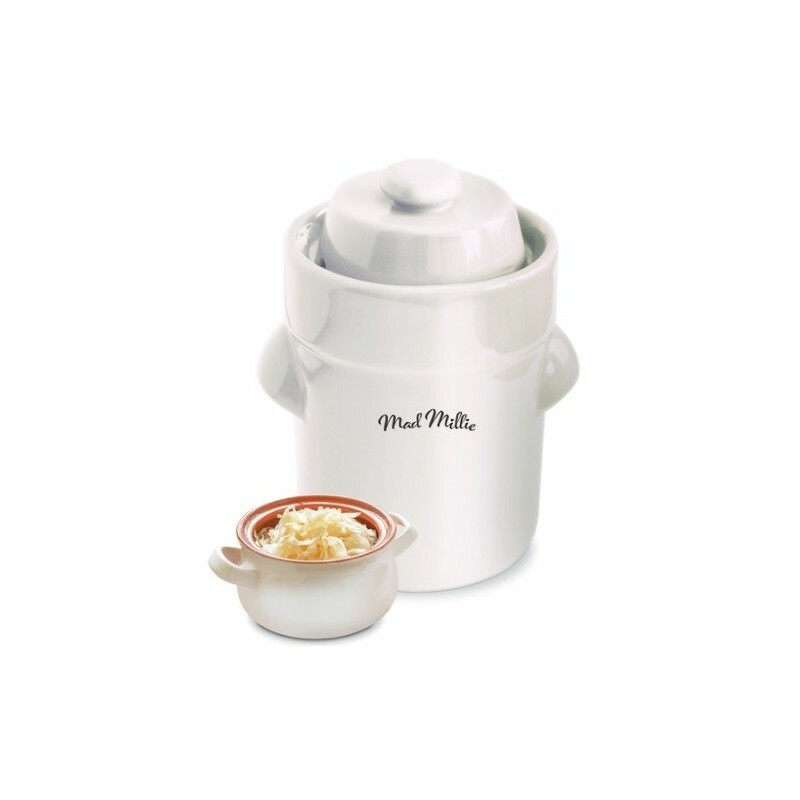 With the Mad Millie fermenting crock you can make your own fermented foods including sauerkraut, kimchi and other fermented vegetables. Fermenting vegetables preserves them whilst also locking in healthy enzymes and probiotics, with the bonus of being delicious to boot! At its basis, most lacto-fermented foods are nothing more than whole, chopped, sliced or grated vegetables placed in a brine of salt and water with a weight to weight it down for a period of time at room temperature to let the beneficial bacteria develop. The important thing to keep in mind is that the vegetables should stay submerged all the time to prevent mold from forming. This fermenting crock has a moat around the top which seals out oxygen and comes with a pair of high fired stoneware weights to help press on the vegetables and keep them under the brine at all times. 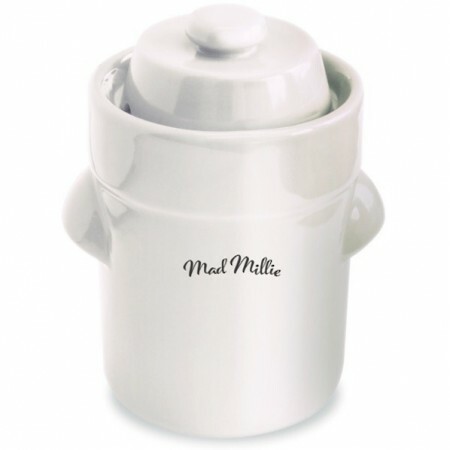 This 3L crock will fit two medium sized cabbages and makes two x 1L jars full of sauerkraut or kimchi. A batch of properly fermented kimchi or sauerkraut will lasts up to three months when stored in the fridge. For faster and more reliable fermentation try adding a fermented vegetable culture to your recipe. Freight surcharge: please note that shipments of the fermenting crock to all areas of WA, NT & TAS and some areas of SA, VIC, NSW & QLD may incur an additional freight charge (even for orders over $130 and Express). 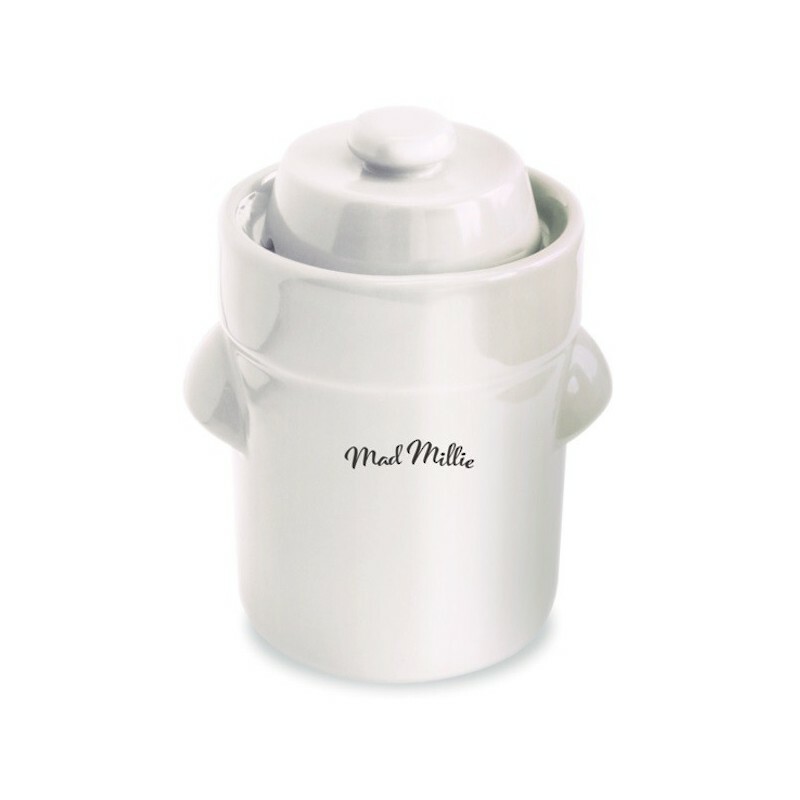 If applicable, we will check this with you before despatch. We cannot ship this item overseas. It is working really well so far. It looks nice in the kitchen. I didn't like touching the weights. They felt rough. Otherwise its a good one!